Characters: 5 Eden is so raw and realistic, she makes for a wonderful main character. Her inner struggle and the way that informs her choices creates a reading experience like no other. I felt so deeply implanted in her head. Getting to see her evolution over four years made the character feel so strongly real. Her friends and family also made a very compelling cast that heavily influenced how Eden morphed, changed, and felt in general and about herself. Plot: 5 I could not put the book down. I finished it in one day of constant reading. I had to know what happened next. The plot was so well developed, every chapter built to the most satisfying ending. 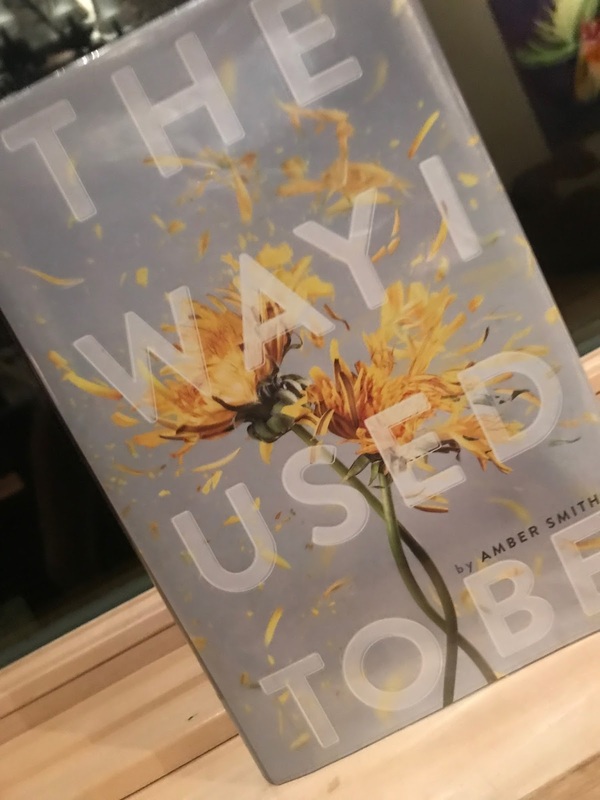 Writing: 5 I applaud Amber Smith for her amazing ability to craft the most amazing, important, compelling novel that needed to be written about such a difficult subject that touches us all. The choices she made when writing it were phenomenal for crafting the story. By keeping her chapters short, it keeps the pace moving. Also, by telling it four parts, her four years in high school, it creates a full and amazing story. And even at points that made my heart heart hurt, the narrative was so beautifully written that I was just left in awe. On Wednesday, I posted one of my own pieces of flash fiction called "Rumors" to my writing page. I love getting to share my work with everyone when I get the chance so please go check it out as well as my writing page with a collection of all the stories I've shared so far. I'd love to make sharing my work a regular thing if these posts do well! i really enjoyed this book. It was raw and emotional. Thanks for the comment! I completely agree. I can't wait to read her next book!